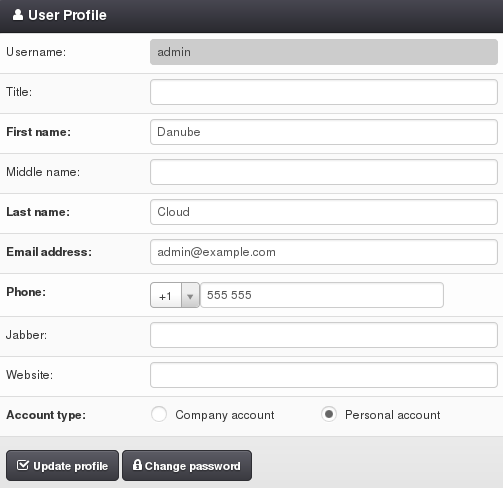 From top menu you can manage your user profile, switch data centers or log out of the Danube Cloud. The alerting media are automatically set to a user object that is reflected to the monitoring system. SSH Keys - Public SSH keys, which will be automatically added to newly created virtual servers using disk images with support for import of SSH keys. API Keys - An API key can be used to connect the Danube Cloud API without using a username and password. A callback key is part of a security mechanism for checking authenticity of callback requests. Detailed information about API and Callback Keys can be found in the API documentation. The data center switch is used for changing the current working virtual data center. More information about virtual data centers can be found in the Virtual Data Centers section. 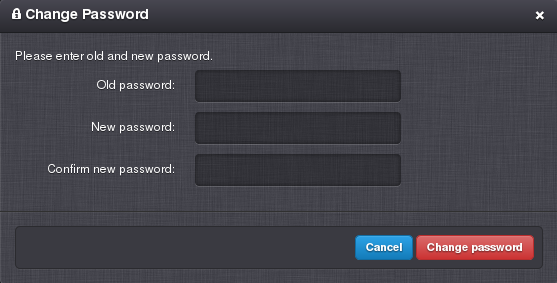 Safely log out of the Danube Cloud Web Management Console.